We are in the process of staging a publish that will be released tomorrow 2/22/2017 during your regular maintenance cycles. Japanese shards will receive the changes below tonight during their scheduled maintenance. 1.Doom Dark father will no longer teleport himself to different locations and we have put a cool down on the number of times he can teleport you to him. Please remember he is still leashed so you can not remove him from the area. 2.Putrefier will no longer spawn Elemental and their loot has been greatly reduced. 3.All versions of Glenda will be reset to their original stats and can no longer be imbued. Glenda’s additional damage will require 60 tactics to activate. Bone breaker will no longer activate on special abilities and while in Animal forms. 4.Field spells can once again be cast on stone bridges. 5.Resolved the issue where targeting mobs with magic would not work properly when you could not target the ground location. I am happy to announce we will be publishing Publish 96 to our Japanese shards tonight during their normal maintenance and the US shards will receive it during their normal schedule maintenance times. We appreciate all the great feedback we have received from everyone, please keep it coming. February's Dev Meet and Greet schedule this month will be Siege Perilous on February 13th at 7pm ET and Mizuho on February 27th at 9 am ET. We look forward to seeing everyone there. We want to wish everyone in Britannia a happy Valentine's Day! For those love birds who want to tie the knot we have a new item in the Ultima Store, the Wedding Package. You can check out more details about the Wedding Package below! You will soon see a new Event Moderator on Oceania, Chesapeake, and Siege Perilous, so please welcome them to your shards when you see them. We are well underway working on Publish 97. The major feature release for Pub 97 is the long anticipated pet revamp. More details will be available as we move through the development process, up front I can tell you we have new creatures to tame, new ways to train and customize pets, and new viable options for pets beyond just a greater dragon! On a final note I want to let everyone know that we are checking popular areas for those that are unattended macroing. If a GM appears I highly suggest you speak to him immediately, this will be your only advanced warning. This month we have added The Wedding Package to the Ultima Store! The package includes everything you need to celebrate your special day - or to fancy up your next party! For those with extended needs for seating an addon package is available that includes extra tables, chairs, bouquets, and candelabras. You can find these and other great items on the Ultima Store! Do you have what it takes to run the gauntlet? For too long the creatures of the Gauntlet have been slain by those brave enough to challenge the depths of Dungeon Doom. The Dark Father is more powerful and sinister than ever and beckons all those brave enough to challenge he and his minions! In addition, new treasures can be stolen from within the depths of Dungeon Doom by those sneaky enough to make it in and out alive. Challenge the Gauntlet today! 1. What is an acceptable time limit between a Game Master talking to you and you answering before you are assumed that you are unattended macroing? You have approx 5 seconds from the time the GM talks to you to answer him. All GM's will become visible which should indicate to you that they are there for a reason. 2. A player from Izumo asked if we could give out water tiles. No we will not be giving out water tiles but we are going to come up with a few small pond designs to give out in the future. 3 . A player from Izumo asked if we could put the bone containers back this coming Halloween back in the game. Sure that is simple to do, we will be happy to add those for this upcoming Halloween. 4. A player from Izumo asked if we could put in craftable wooden walls. Yes we can add that to a future publish but our schedule is pretty tight so do not expect it anytime soon. 5. A player from Izumo asked if we could add the ability to search for Auction Safes in the vendor search. Yes this is something we can do thanks for the suggestion. 2. All Sovereigns purchased from Origin have to be entered on the Account Management page. You can not enter these in game. 4. Anyone that does not get their codes from Origin please follow this link to resolve the issue..
5. 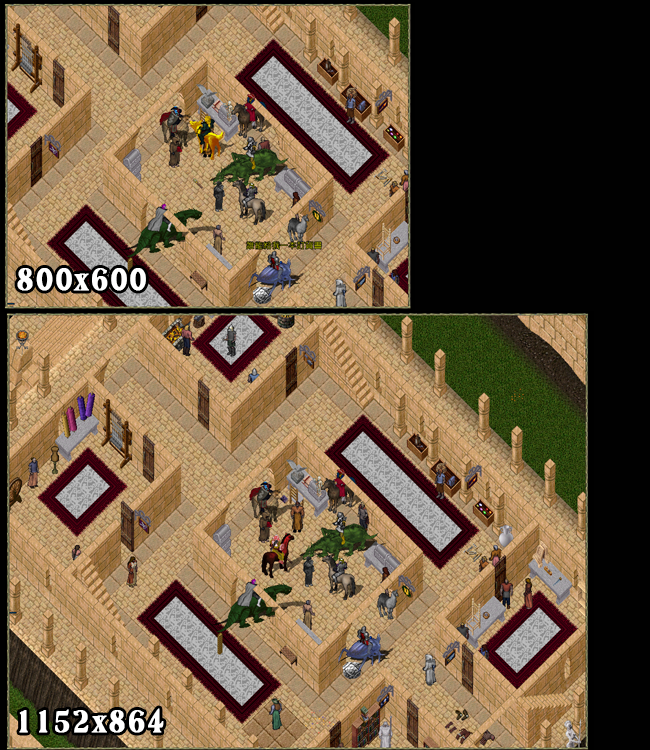 If you have any in game questions or issues please either page in game or email support@ultimaonline.com. Beginning with Izumo tonight, Origin, Izumo & Baja will receive Publish 96 during their regular maintenance cycles. Publish 96 is full of new and exciting features, bug fixes, and new content so make sure you check out the full patch notes here and send us any feedback you have here. Please continue to send in feedback as we look forward to a tentative World Wide release Thursday, February 9, 2017. The latest client patch 4.0.56.0 and 7.0.56.0 are mandatory, so please make sure you update your UO client before trying to login. By approximately 6:00pm ET 1/24/2017 we will be pushing an update of Publish 96 to TC1. Publish 96 is full of new and exciting features, bug fixes, and new content so make sure you check out the full patch notes here and send us any feedback you have here. Please continue to send in feedback, especially on the new Doom artifact properties as we look forward to an Origin, Izumo, and Baja release this Thursday. ・Fixed an issue where approaching names would not display properly in the Classic Client. 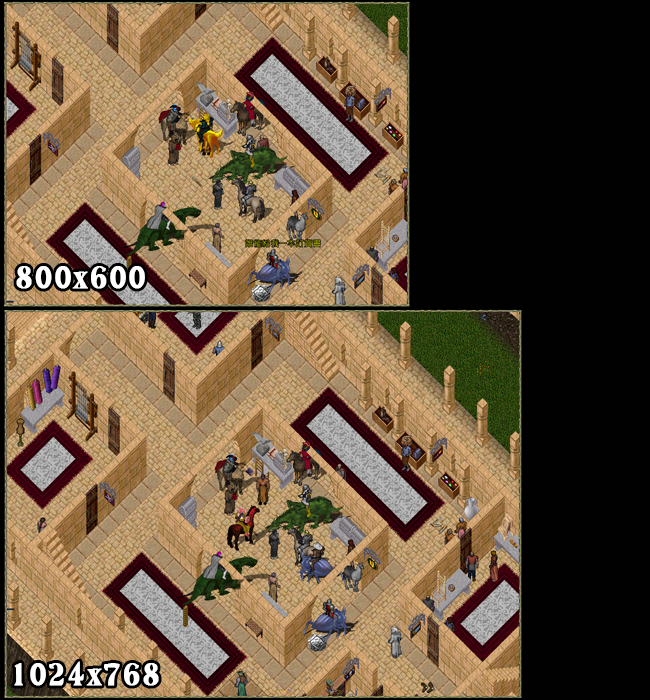 ・Resolved a crash in the Classic Client when selecting a full screen resolution that is less than the gameplay window size. ・Resolved an issue where some block tiles were not the correct height, which could cause collision and rubber banding issues. ・Fixed issue where the evening gown was not displaying the correct gump art. ・The circle of transparency is now centered when game window size is changed. ・We are working to resolve the issue with new gameplay window sizes when using Korean language support in a future publish. By approximately 2:00pm ET 1/19/2017 we will be pushing the first full release of Publish 96 to TC1. Publish 96 is full of new and exciting features, bug fixes, and new content so make sure you check out the full patch notes here and send us any feedback you have here. As always we will continue to update based on feedback through the TC1 and Origin, Izumo, and Baja. ◎The Fleshrenderer, Darknight Creeper, Impaler, Shadow Knight, and Abyssal Horror have updated AIs, stats, and skills. ◎New Artifact Recipes have been added to the Doom Reward System. ◎New Doom crafted artifacts can be converted to gargoyle equivalents by visiting Vrulkax the Exalted Artificer at the Crafting Plaza in the Royal City. ・Items with this property have a 20% chance to inflict a stamina drain over time on targets for 4 seconds, which prevents consumption of refreshment potions. Will not proc with special moves. ・While the wielder has 30 or more mana, victims take additional physical damage, independent of the chance to proc the stamina drain. Will not proc with special moves. Items with this property have a chance to proc a swarm of insects on their targets, causing physical damage over time until target takes fire damage or equips a torch. Will not proc with special moves. Items with this property have a chance to proc devastating energy sparks on their targets, causing energy damage over time. Will not proc with special moves. Any post-resist damage done to a target is given back to the attacker as mana. The effect is doubled on monsters. ・Increased Moving Shot’s hit chance penalty. ・Moving Shot damage is now always physical regardless of other damage modifiers including quivers and Consecrate Weapon. ・PvP Only: Armor Ignore direct damage cap on ranged weapons has been reduced from 35 to 30. ・Increased special move Disarm immunity from 10 to 15 seconds for melee weapons. ・Increased special move Block duration from 3 to 6 seconds. ・Decreased Double Shot mana cost from 35 to 30. ・This mastery is available to Fencing, Mace Fighting, Swordsmanship, Throwing, and Archery. ・Updated Hail Storm damage distribution to mimic chain lightning. ・Fixed issue where Sleep was not using its base duration time of 2 seconds. ・Initial Spell Plague damage is now modified by SDI etc. ・Fixed issue where Spell Plague didn’t use modified magic resist. ・Mysticism Mastery ability Nether Blast now correctly damages targets within a one tile radius of the blast. Reduced casting time of Nether Blast from 2.25 to 2 seconds. ・Increased Hail Storm mana cost from 40 to 50. ・Max resist debuffs no longer stack from Curse and Corpse Skin. The highest debuff for each max resist will be applied. Max resist debuff scales based on modified skill. ・Corpse Skin max resist debuff calculation now scales based on 100.0 skill average vs 120.0 skill average. ・Necromancers no longer need to be focused spec for corpse skin to modify max resist of target. ・Increased Necromancy Conduit base duration from 4 to 6 seconds. ・Mobs under Mastery ability Command Undead no longer incorrectly flag when casting Poison Strike. ・Ranged weapons with a base swing speed slower than 3 seconds will take swing speed into account in the final damage calculation. ・Reducing weapon swing speed below .75 seconds of base swing speed increases chance of damage reduction per .25 seconds. ・Potential damage reduction is capped at the minimum damage of the weapon. If your weapon has a damage range of 62-77, the lowest damage roll for your weapon would be 62. ・Throwing weapon “Sweet Spot” mechanic takes priority when setting minimum damage of the weapon. ・The player’s active mastery can now be toggled off from the switch mastery gump. This does not trigger the switch cooldown. ・Added Parry to focus spec restriction list. ・Increased PvP spell damage increase cap to 20%. ・Focus spec spell damage increase cap reduced from 30% to 25%. ・Splintering weapon proc no longer triggers when performing Disarm. ・Supernova potions now activate after a half second delay at the user location. ・Increased Chivalry Mastery ability Holy Fist cast speed from 2.25 to 2.5 seconds and increased Holy Fist mana cost from 40 to 50. ・Increased Throwing Called Shot mana cost from 20 to 40. ・Throwing Mastery ability Called Shot damage is now capped at 100 pre-resist damage in PvP. ・All potential cooking exceptional craftable items are now obtainable as exceptional BODs. ・Newly created inscription guaranteed spellbook improvement talisman will now provide +crafting success and +exceptional chance bonuses. ・Inscription guaranteed spellbook improvement talisman will no longer fail to add a new item property resulting in lost charges. ・Full aprons can now be altered into gargish half aprons. ・Fencing Mastery ability Thrust correctly applies damages buffs and debuffs based on mastery level. ・Added the gingerbread cookie recipe to the cooking BOD rewards. ・Added the runic atlas recipe to the inscription BOD rewards. ・Adjusted World Tree tile art. ・Shrine of Wisdom now displays correctly in the enhanced client map. ・Fixed Confusion, Fear Essence, Shatter, and Conflagration potions being used while on cooldown. Increased display radius from 18 to 24 tiles. ・Increased display radius from 18 to 24 tiles. ・Fixed enhanced client crash when spellbooks are hidden.